CartRover automatically loads Merchant orders into any system. 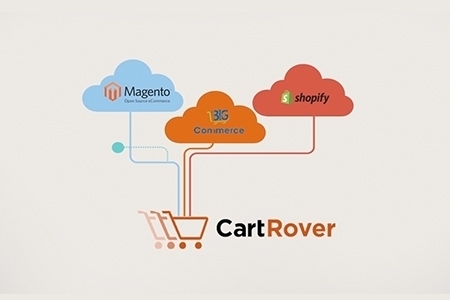 CartRover is integrated with most popular e-commerce shopping carts and online marketplaces. CartRover automatically sends tracking info back to your cart and syncs inventory. CartRover has done all the heavy lifting, and can connect to any integrated order source in minutes. When an order is placed on a website or online marketplace, CartRover automatically retrieves the order. There are no manual steps. Once CartRover has pulled orders from your shopping carts and marketplaces, the orders are standardized into a single format native to your system. Orders are sent to your fulfillment center, shipping software, order management system, or warehouse management system automatically. After orders have shipped, CartRover retrieves the shipping information from your system and uploads tracking back to the shopping cart or online marketplace. CartRover also updates inventory from your system to your web stores and marketplaces.